Rita, 1958 Packard roadster by John D’Agostino and Oz Welch. 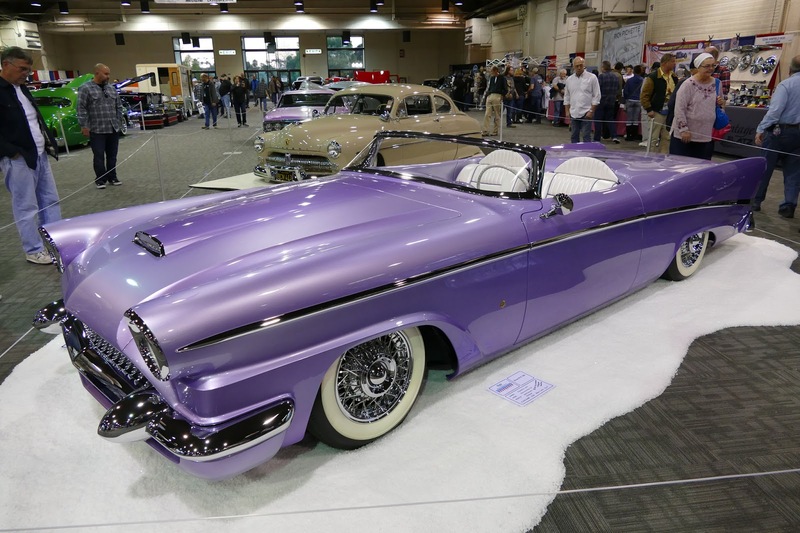 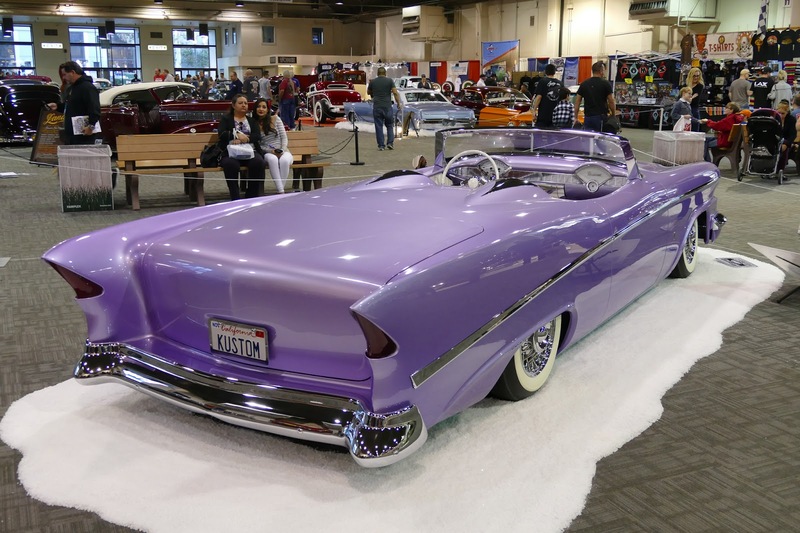 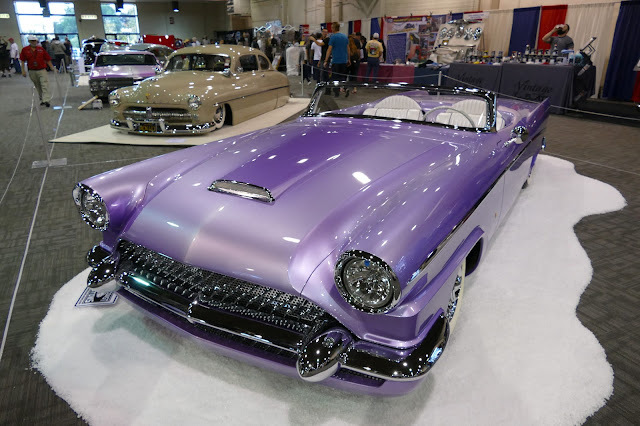 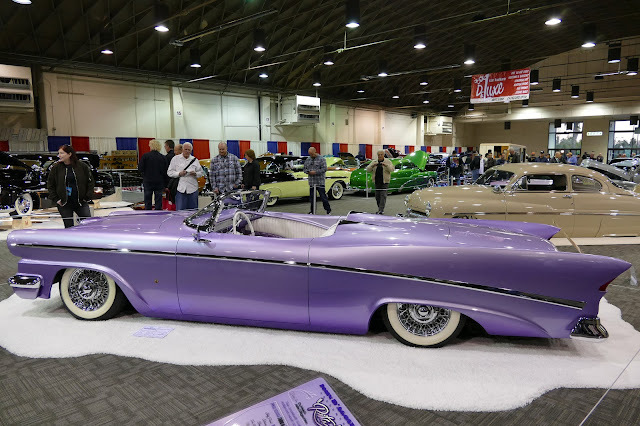 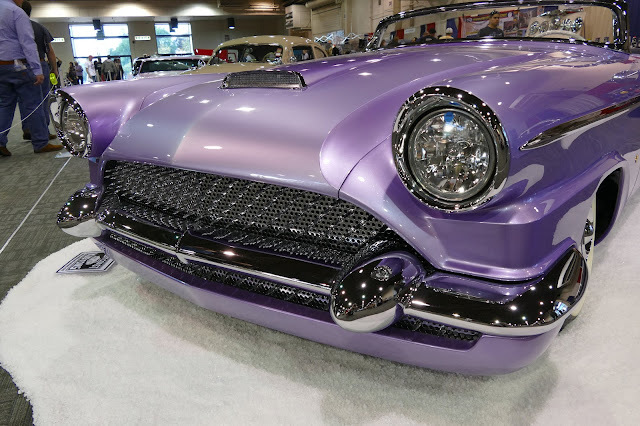 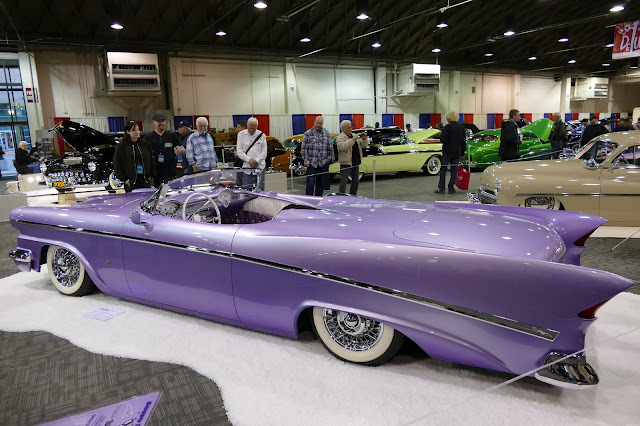 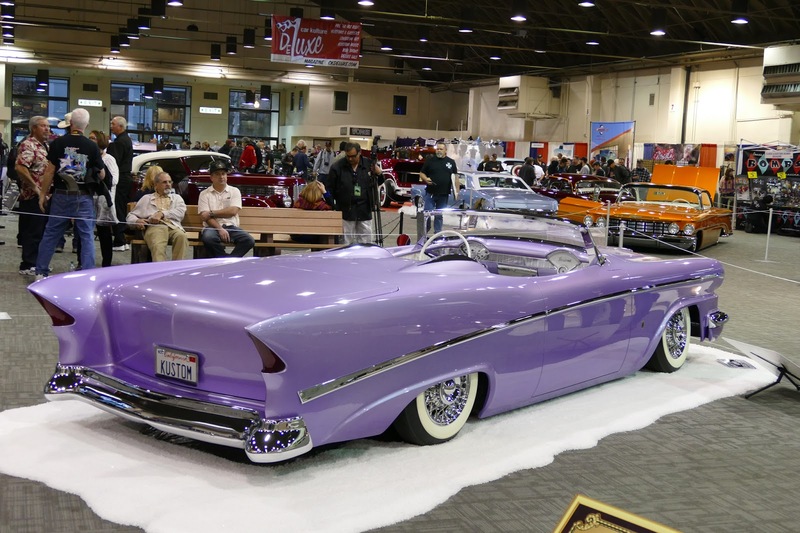 ''It began life as a 1958 Packard Hardtop, and according to owner and designer John D’Agostino of Celebrity Kustoms, may well be the last Packard ever built. 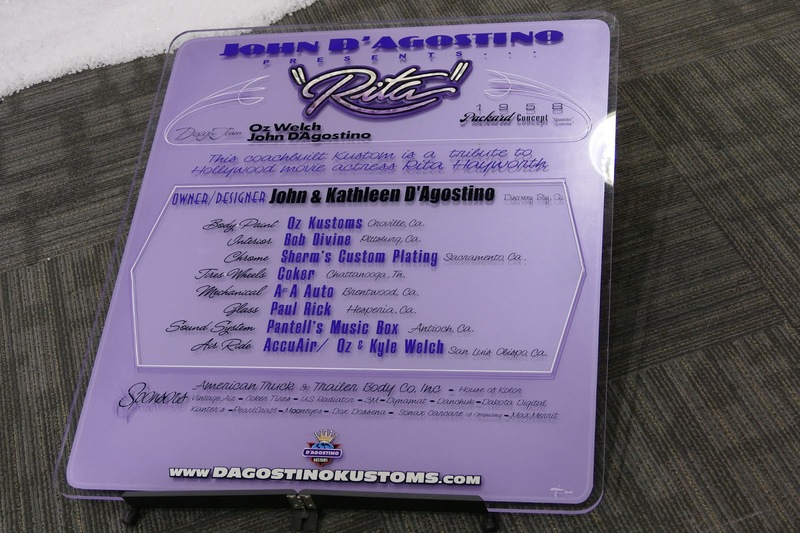 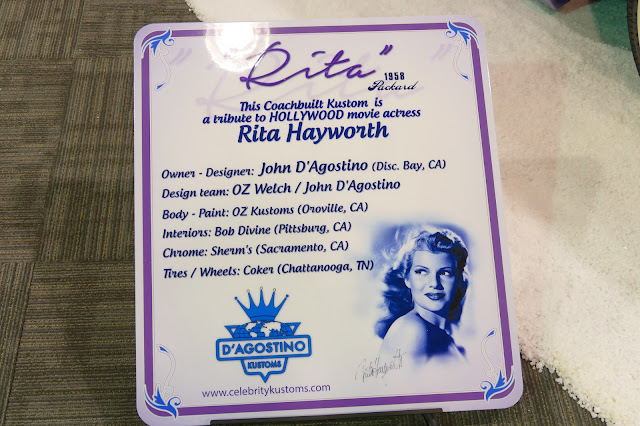 After seven years of work by Oz Welch (and others), D’Agostino’s Packard is now a two-seat roadster named Rita, a nod to silver screen siren Rita Hayworth. 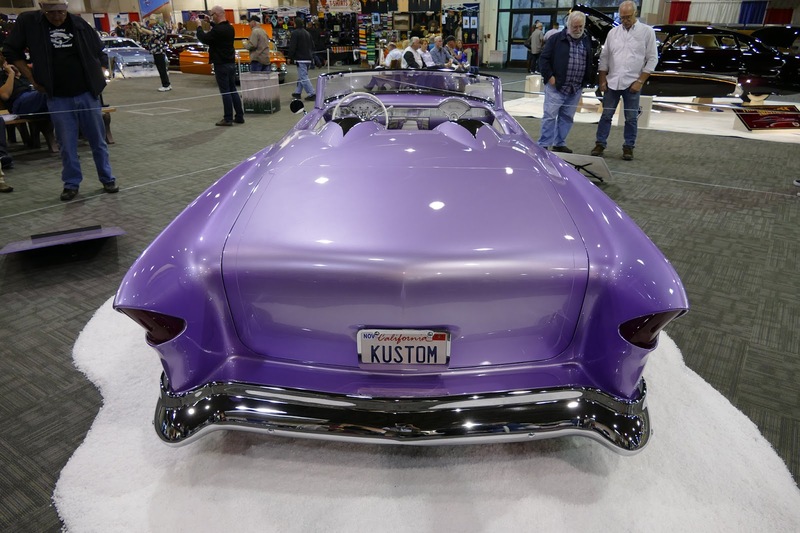 Last weekend, the car picked up one of the coveted “Big B” awards, taking the “King of Kustoms” title at the 2017 Sacramento Autorama. 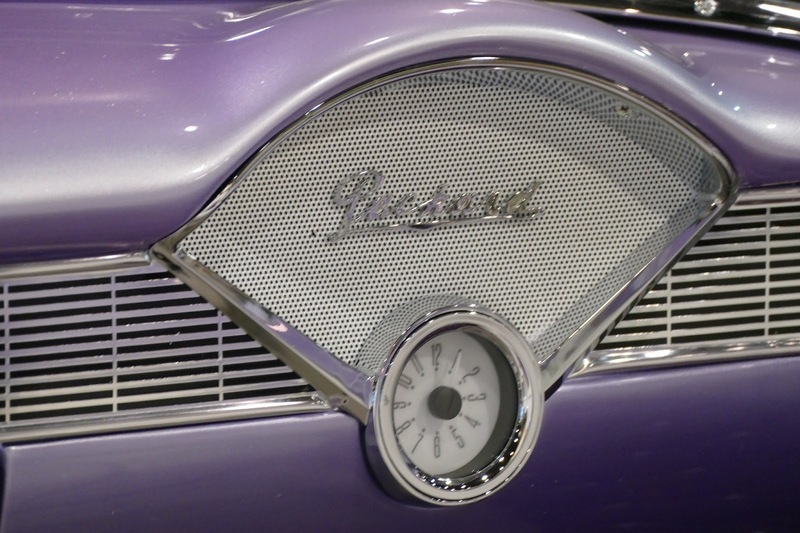 D’Agostino’s goal behind the car’s design was to craft something that Packard itself may have created as a concept, had the automaker’s financial circumstances been different in 1958. 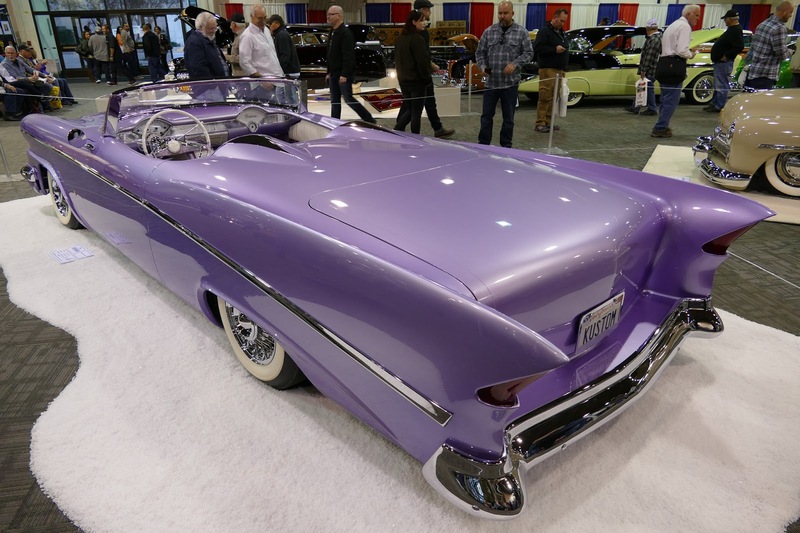 Not a single panel on the car was left untouched, but the most dramatic alterations are the windshield, chopped by five inches, and the hood and cowl, lengthened by roughly eight inches. 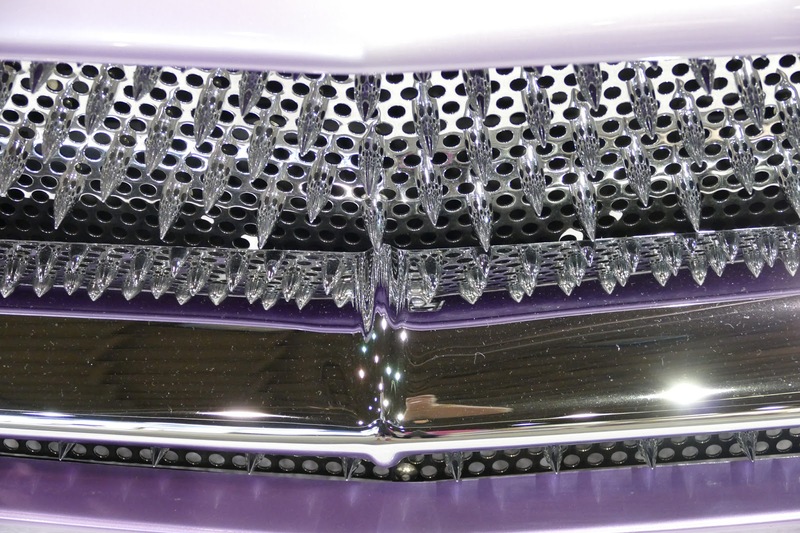 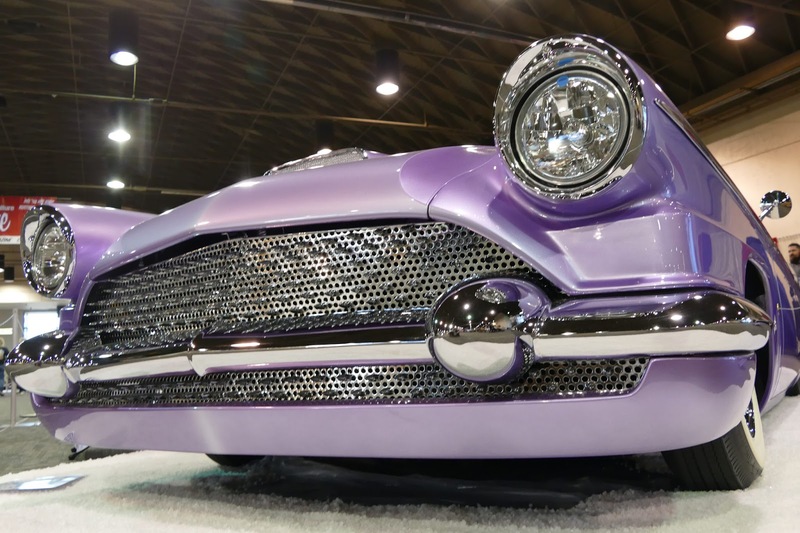 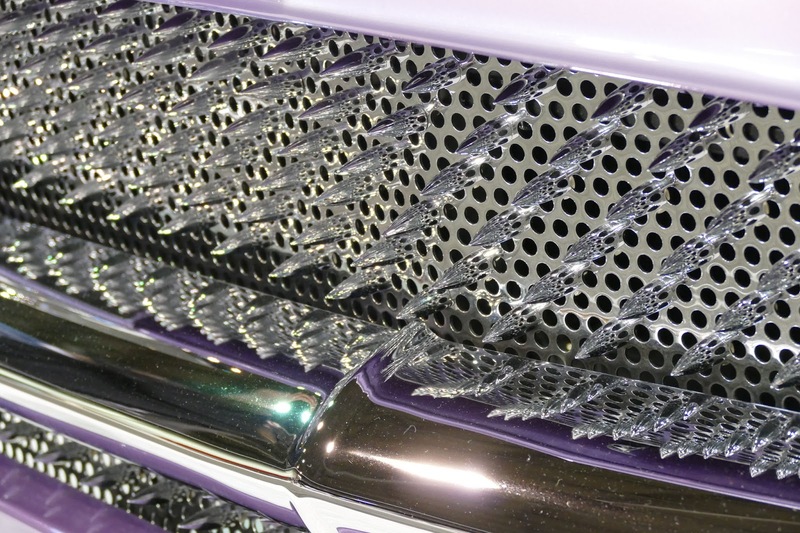 Up front, a custom grille and single headlamps (liberated from a 1955 Oldsmobile) give the car a decidedly different appearance than designer Duncan McRae originally intended. Inside, the dash comes from a 1955 Chevrolet, and since D’Agostino specified a two-seater, this is where the space was gained to lengthen the car’s nose. 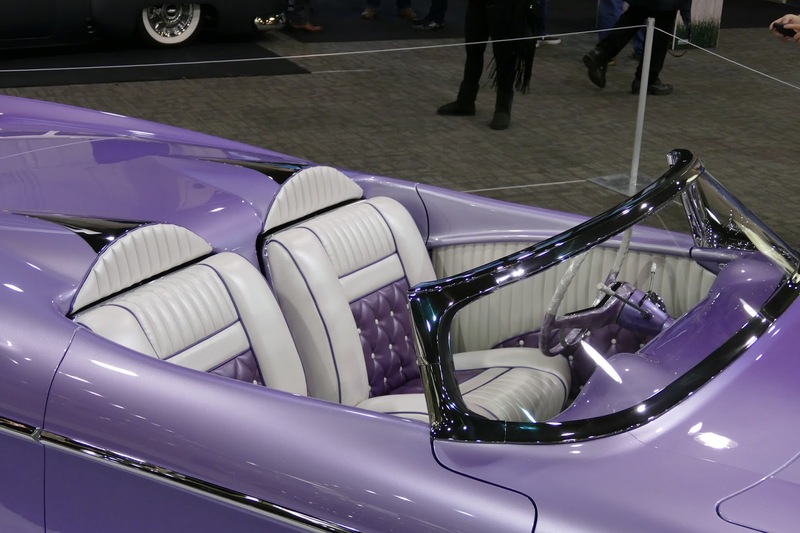 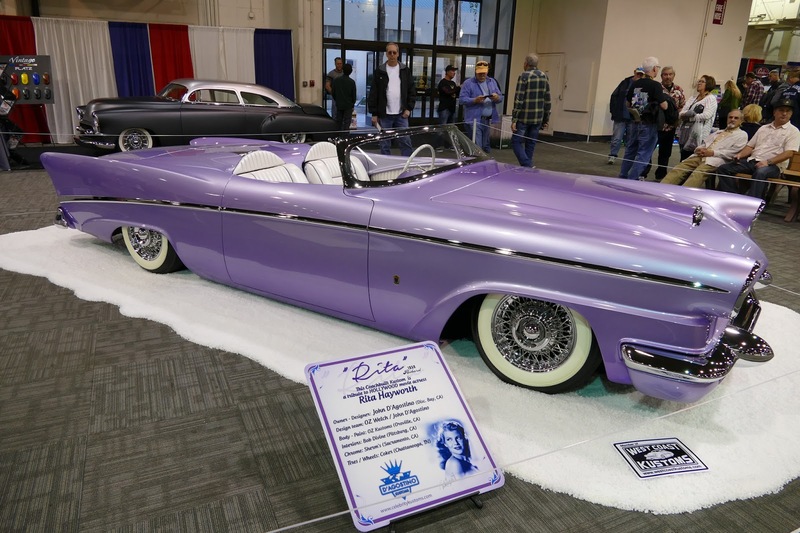 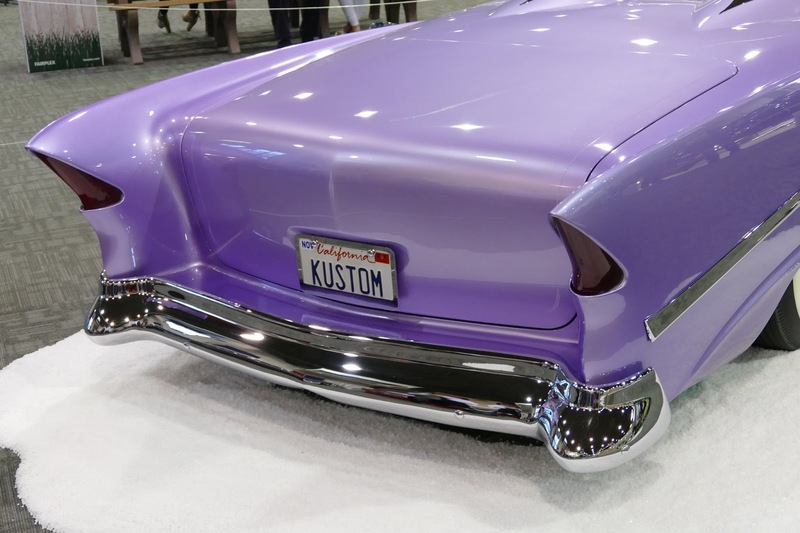 Seats come from a 1962 Cadillac, and the upholstery (stitched by Bob Divine) is finished in pearl-accented white and lavender leather, to match the exterior’s custom-mixed House of Kolor paint. 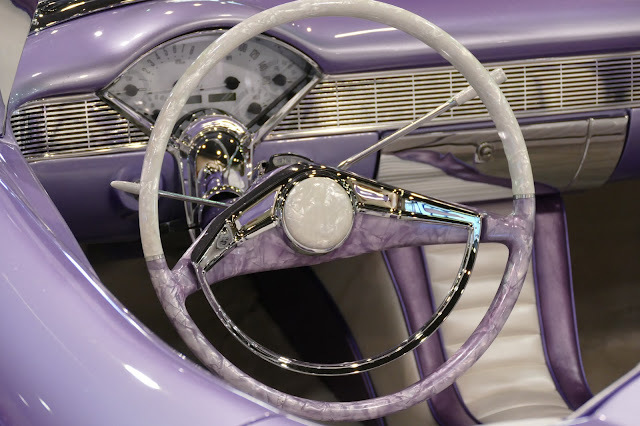 Even the steering wheel, finished by Pearlcraft in Australia, carries the pearlescent white and lavender theme, giving an idea of just how much attention to detail went into the build. 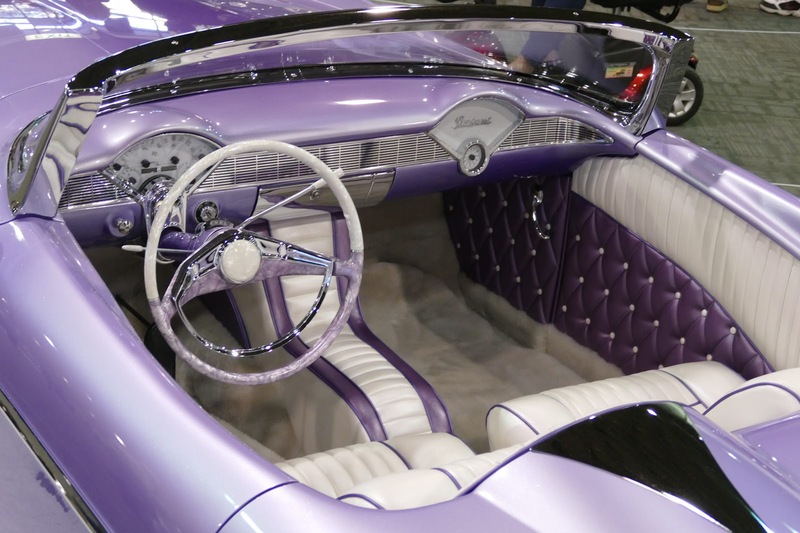 It’s not the only part of the car imported from that part of the world, either, as the white carpeting is said to be crafted from New Zealand lamb’s wool (which, after all, is good enough for Rolls-Royce). 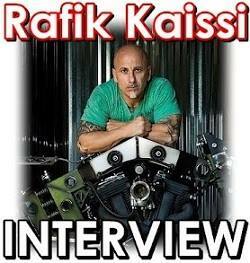 -words by Kurt Ernst via hemmings.